Nothing is worse than blowing a high frequency driver at a show. Unless it's not being able to find a replacement diaphragm that fits! Relax. We have the B-52 replacement HF diaphragms to fit your drivers and get you back on the road fast. 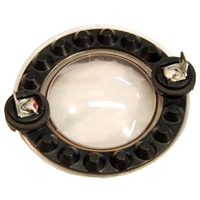 If you don't see the diaphragm that you need, give us a call at 1.866.963.0733 for more information. 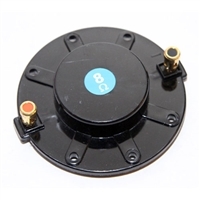 Replacement diaphragm for B-52 4D-CL Series HF Drivers. 8 ohms. Titanium replacement diaphragm for the B-52 4D-MX and 4D-HRB HF drivers.